The Jabra PRO 920 is a professional entry-level wireless headset designed for use with desk phones. The Jabra PRO 920 offers an attractive crystal clear audio and quality enhancing features such as Jabra SafeTone™ that protects hearing by cutting off loud noises and securing safe average sound levels. The noise-canceling microphone eliminates unwanted background noise. 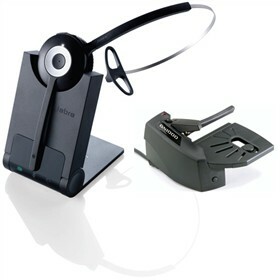 The Jabra PRO920 with Lifter has many exciting features for users of all types. You can extend the lifetime of your Jabra PRO920 with Lifter with the purchase of a FactoryOutletStore Factory Protection Plan. See the Jabra PRO920 with Lifter product video and gallery images above for more details. 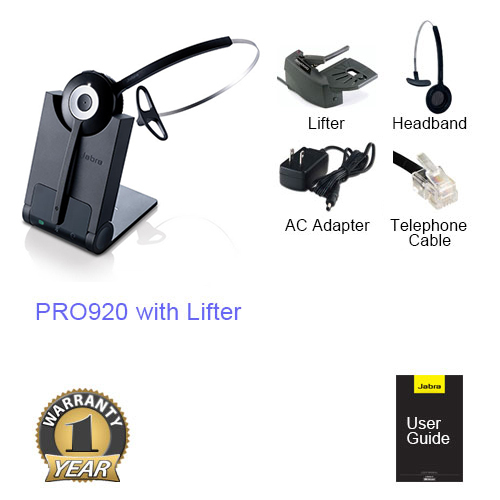 The Jabra PRO920 with Lifter is sold as a Brand New Unopened Item.